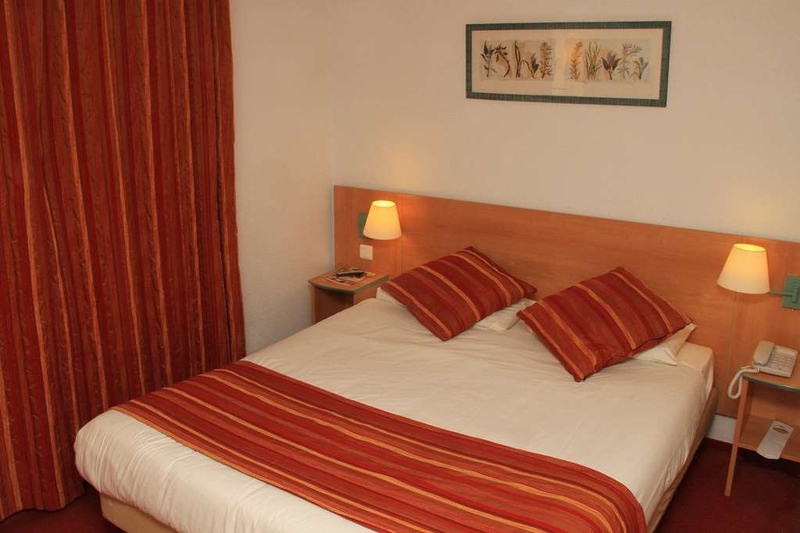 The Best Western Hotel Uzes Pont Du Gard is ideally located in the center of Uzes. Come and experience our hotel near the major tourist attractions. Best price guaranteed and exclusive deals. "Nice hotel, quiet and clean"
A lovely hotel in a good location, with an ample car park and a good swimming pool so very welcome after a hot day. 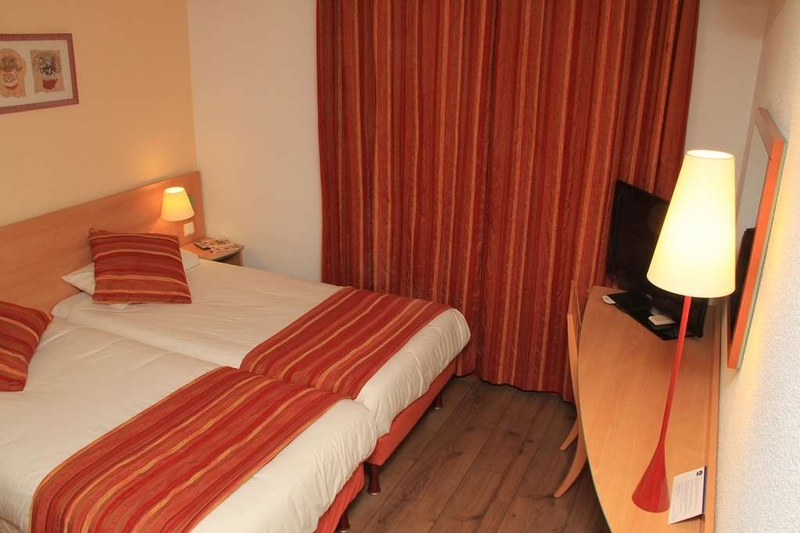 The rooms are clean and well designed with a very effective air-conditioning. The shower was good but the glass screen could have been bigger to keep the spray in. There is a covered walkway to the reception and restaurant, and there is seating for outdoor dining on a shady terrace by the pool. Out the back are two tennis courts. The staff were very helpful but were under pressure on the first night as there were two group dining at the same time so the service was a little slow. As we were on holiday this was not a problem. My wife is a vegetarian and this did cause a problem as her meal was the same as mine but with the meat removed! Eventually, we got the staff to add a little plate of fromage. Otherwise, the meals and buffet breakfast are good. The little town of Uzes is charming and is well worth a visit. It is only a 10 - 15 minute walk from the hotel, but on a hot day it seems longer. Use the pavement on the right-hand side going in to town, it is small to start with but gets better, do not be afraid. An excellent choice of hotel to tour this region. "A bit out of town "
Stayed here recently , it was further out of town than we had expected . We were told it was a 10 Min walk but that would have been a sprint ! In the heat it would have been considerably longer . 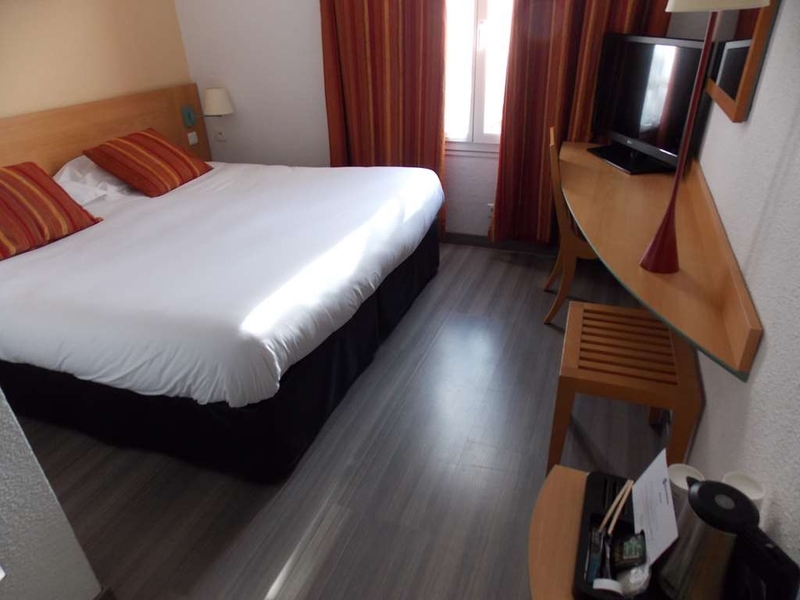 The room was small , very clean and adequate , the facilities were also adequate , the staff were very nice and friendly with a bar and small pool mainly used by families when we were there . We did think the room was over priced . "Great AC and lovely location!" The hotel is on three floors only and all meals were taken sitting outside around the pool which added a lot to the holiday. Staff were very helpful and most had some English. The cooking was good and an added bonus was that there were kettles etc in the room. Don't often get that in the South of France. Ten minutes walk from the town which is really fascinating with lots to see. The airconditioning was excellent and very quiet, for once. Drinks a reasonable price. This hotel is cozy and quaint. 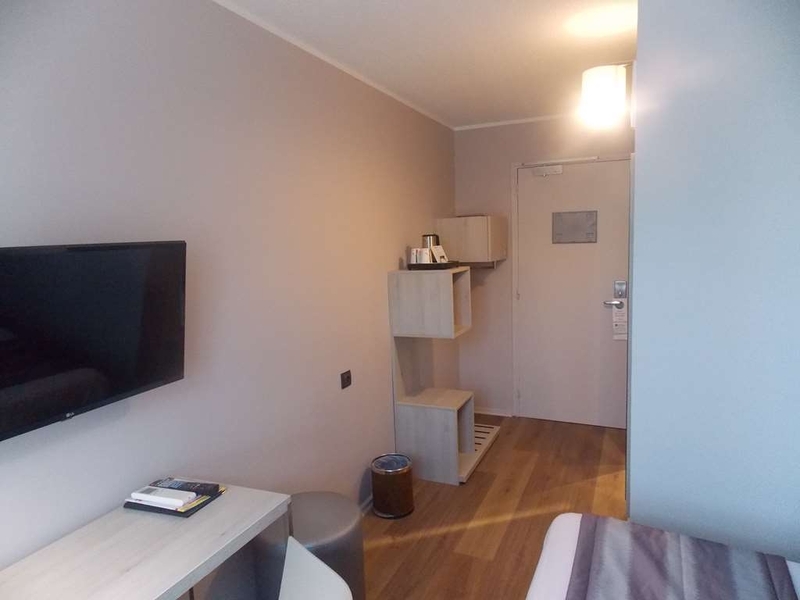 The rooms are very simple and very clean. The location is beautiful and if you don't mind walking a bit, the town square is close by. The hotel is immaculate. Restaurant was too pricy so we dined in town daily. 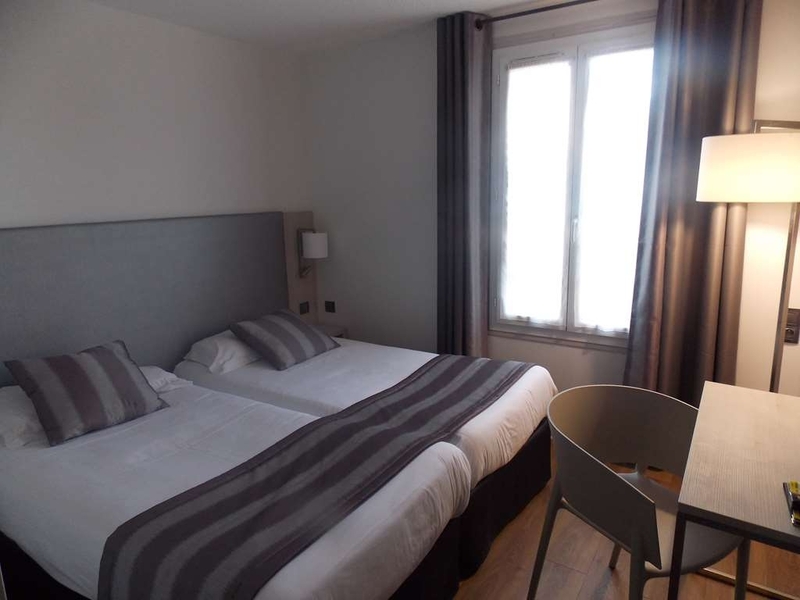 I had stayed there a few years back because I had to visit friends in the city of Uzes, and they have parking which is not true for some other hotels in the city, and at the time it had been OK. But this time, I would take at least 1.5 start away from them. The mold in the bathroom is only the beginning. Shame on Best Western for not updating this hotel to a real 3 star. I was supposed to have my passport delivered at Best Western Uzes while I was staying there, and because the post office took a week longer than expected to deliver it, I was already gone by the time it arrived. 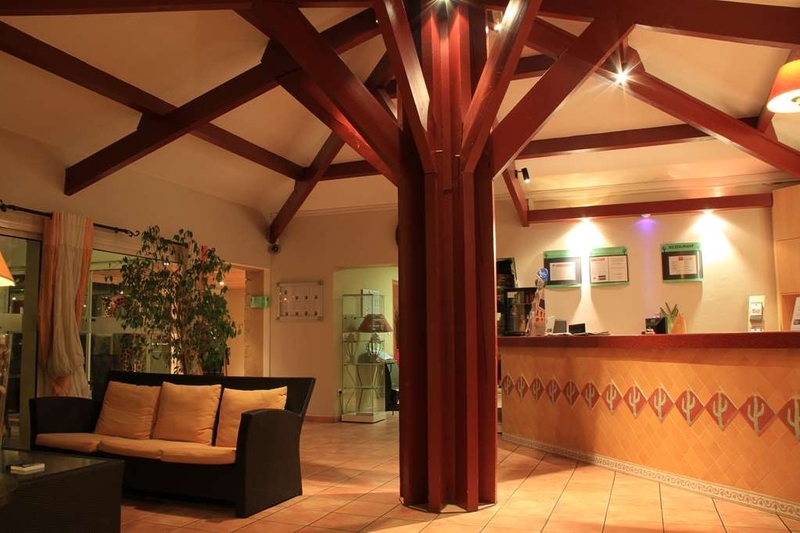 Throughout this very stressful experience, the reception desk at Best Western Uzes was beyond helpful. They patiently updated me multiple times a day on the mail delivery schedule and what mail they had received, they let me use their phone to call the post office customer service because I could not call the number from my pre-paid cell phone, and, when the passport finally arrived, they went out of their way to immediately Fedex it to me. The entire team was very understanding and did their best to help me out, and they deserve five starts for their outstanding customer service. 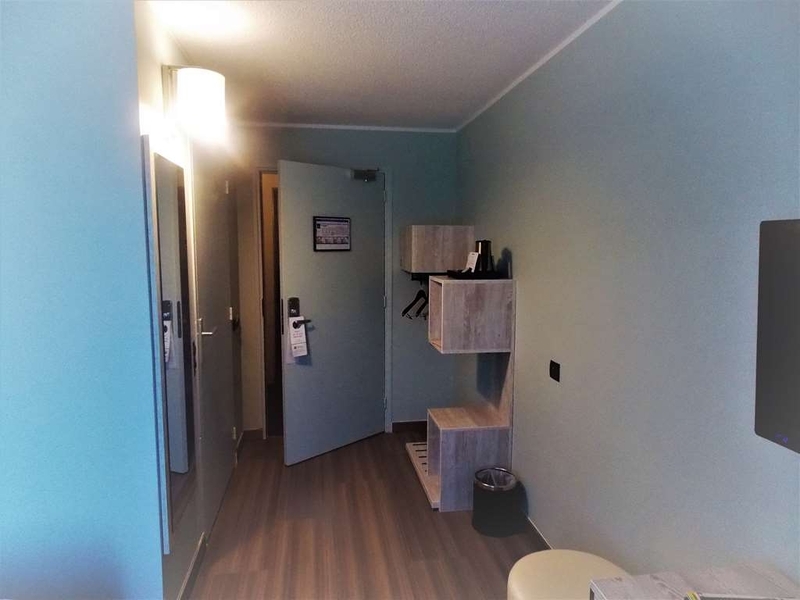 Also, the rooms are very clean and tidy, the outdoor terrasse/swimming-pool area is very pleasant, and the breakfast is delicious. We recently stayed at this Hotel whilst on a coach trip, and found it very comfortable and quiet. We stayed on a B&B and Dinner package and the food and service in the restaurant was very good, there was an extensive selection for breakfast, and whilst the dinners were a "set" menu the food was very good. 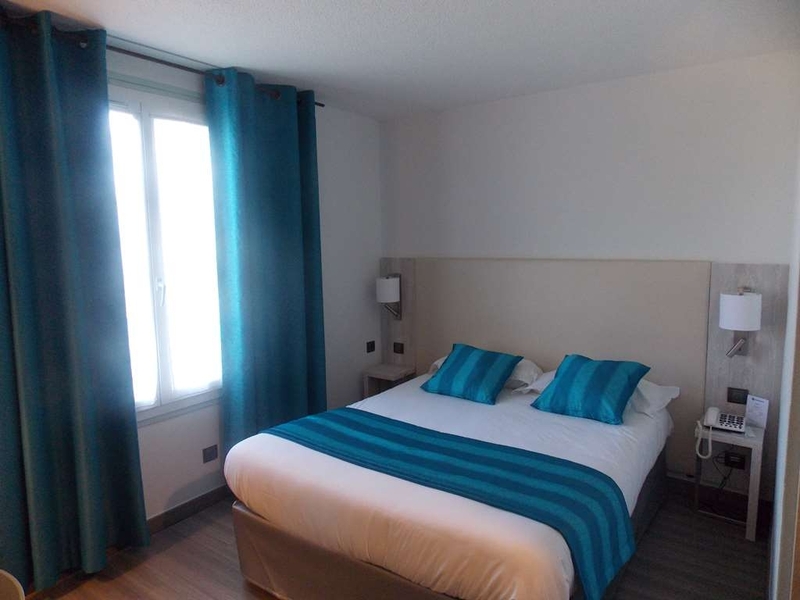 The hotel is well situated for exploring the local area, and it is a 10-15 minute walk into the town of Uzes (which is a must visit town). The rooms in the hotel were on the small side but perfectly comfortable with air-conditioning and TV. The hotel catered for a number of coach trips during our stay as well individual stops and I have to say I had no complaints about any aspect. The gardens might want a little attention but it had a homely welcoming feel. Staff were great. Reasonably nice European hotel near the town of Uzes. 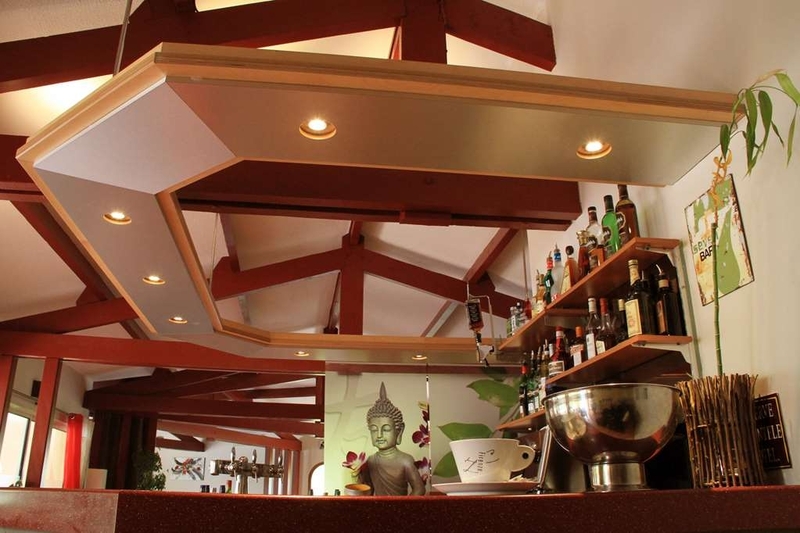 The staff was exceedingly friendly, spoke English and very helpful. There was a great bar, swimming pool and restaurant. The landscaping was very nice. The town is only a few minutes walk from the hotel. restaurant and swimming pool. The town of Uzes is only a few minutes away. Great hotel conveniently located, offering all amenities. The hotel has a good bar and restaurant, comfortable rooms. 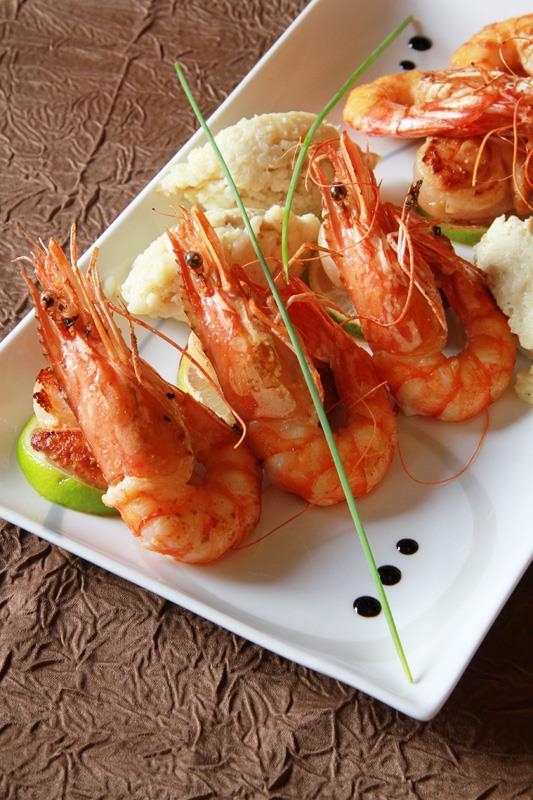 The staff were really helpful, and spoke excellent English. The nearby town is historic and has numerous bars and restaurants. Nice country like feel with vines growing on the walls, numerous outdoor seating by the pool ...but that's all that's nice. Dark hallways that disguised the copious amount of hair (pet or human?) found on the stairway. The room was terribly outdated with the toilet hidden in a closet without ventilation. 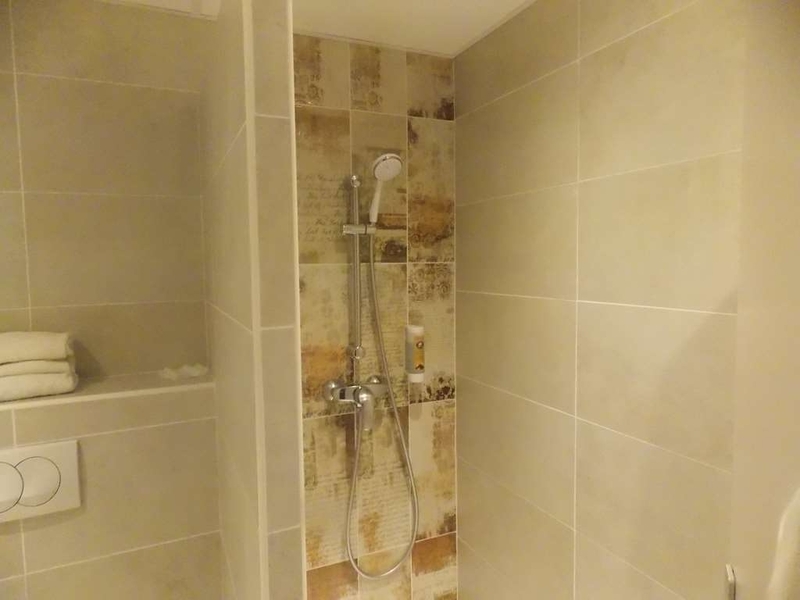 The shower was so claustrophobic that when you drop the soap, there's no room to bend down to pick it up! Opening the window is not an option as it allowed for bugs and mosquitoes to invade. Dinner consisted of a rubbery piece of pork chop. Least favorite Best Western, needs a lot of work and renovation. Staff were ok. 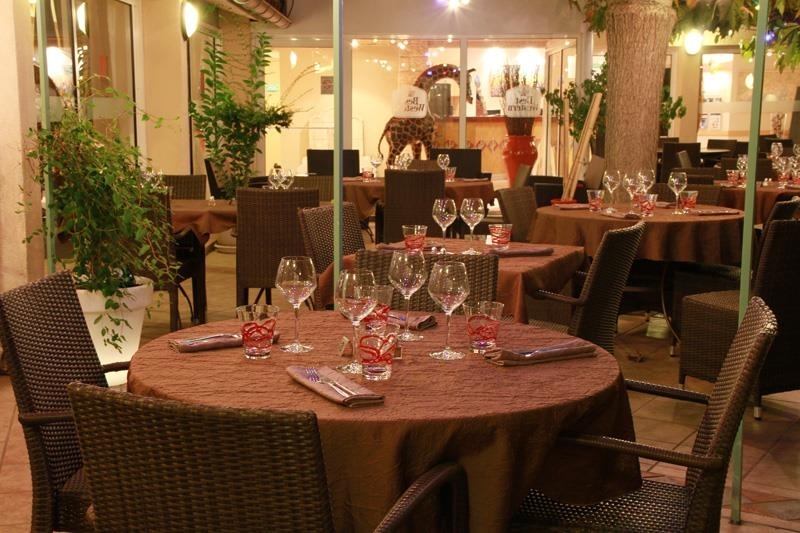 This chain-hotel is located near a roundabout near Uzes but outside Old Town areas. It is far from Pont du Gard but not a problem as we drove. 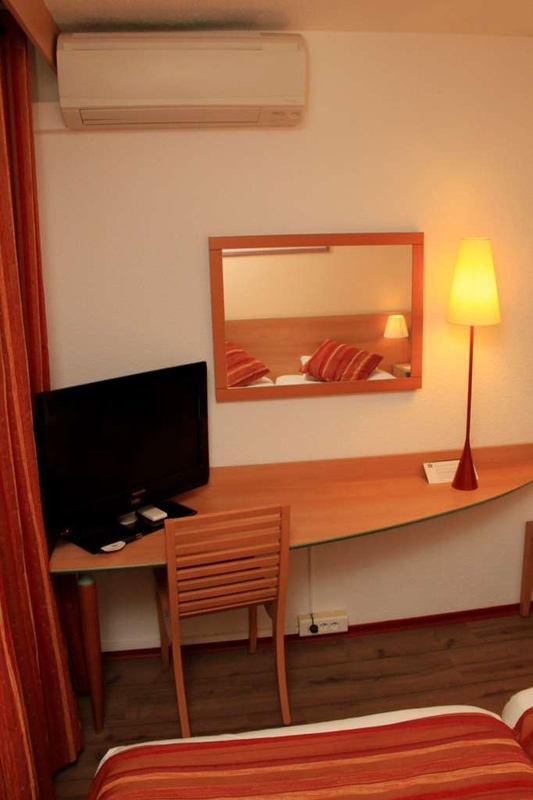 Our rooms are standard and comfortable. We paid @12 for buffet breakfast with fresh orange juice. The swimming pool is quite small and suitable for kids. Bring your rackets for playing tennis. 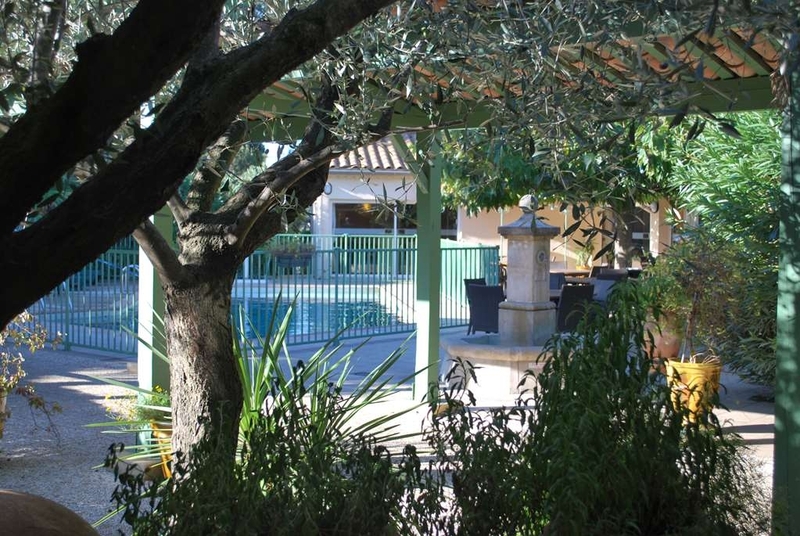 Thank you for your compliments on breakfast and rooms; again we are located at the entrance so uzès 15-minute drive from Pont du Gard. for tennis, tennis table, pétanque we give free equipment at the reception. After a motorcycle accident whilst passing through Uzes we booked in here. The staff were brilliant, very kind and helpful giving us all the assistance they could, finding us doctors, taxis etc. They made our unexpected stop very pleasant. I would like to thank them all. The patio and poolside were a lovely sun trap sheltered from the mistral. The ambiance with the pollarded trees and wisteria made it a delightful spot for recuperating. The restaurant was very good each night too - definitely try the lavender creme brûlée and the cerise ice cream. And of course the local wines. A hotel without any charm! Located a bit outside the center which made us decide to stay on for dinner as we were tired and did not want to bother to order taxi back and forth. The hotel needs FRESHENING UP! The interior decoration is made without taste and so sterile. Must have been done some 30 years ago. The food was without taste and the meat leathery. The only positive thing was the personnel - nice and efficient! 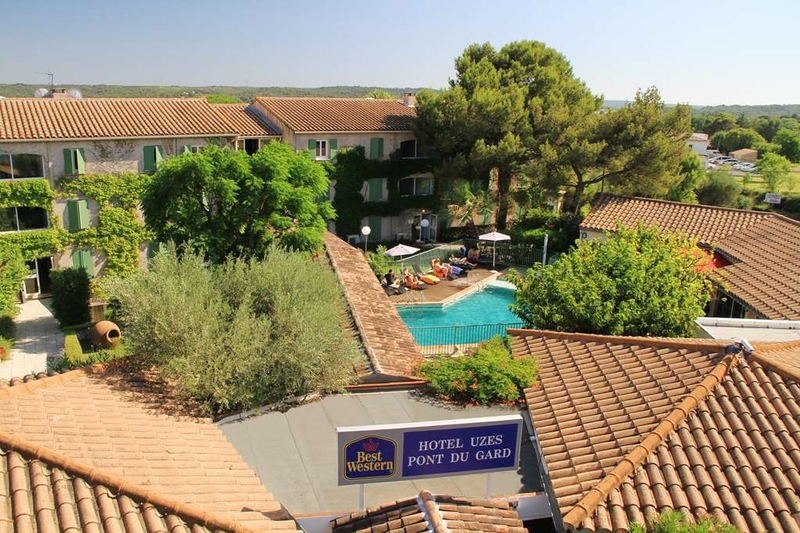 "By Far the best Hotel we stayed in"
Again, unfortunately our stay at the Best Western Uzes Pont du Gard was kept to one night only. We arrived late in the evening, got our room keys and was pleasantly delighted to find we had the family suite. Up until this point on our EF Tour our party of 3 had been staying in rooms with 2 or 3 beds, this was the first time we actually had 2 connecting rooms. The room had a queen size bed with an adjoining room with 2 twin size beds, making our stay extremely comfortable. We had dinner at the hotel restaurant and it was surprisingly delicious. Definitely wished we could of stayed longer being it was so accommodating but off we went early in the morning the next day. "Nice, clean and fairly modern"
I traveled her with students from Washington, DC. We stayed here for two days. I travel frequently with and without students and this was a decent bargain. Very close to Pont du Gard, Nimes, Popes Palace Avignon and Arènes de Nîmes. This was a decent site for our large group of students. 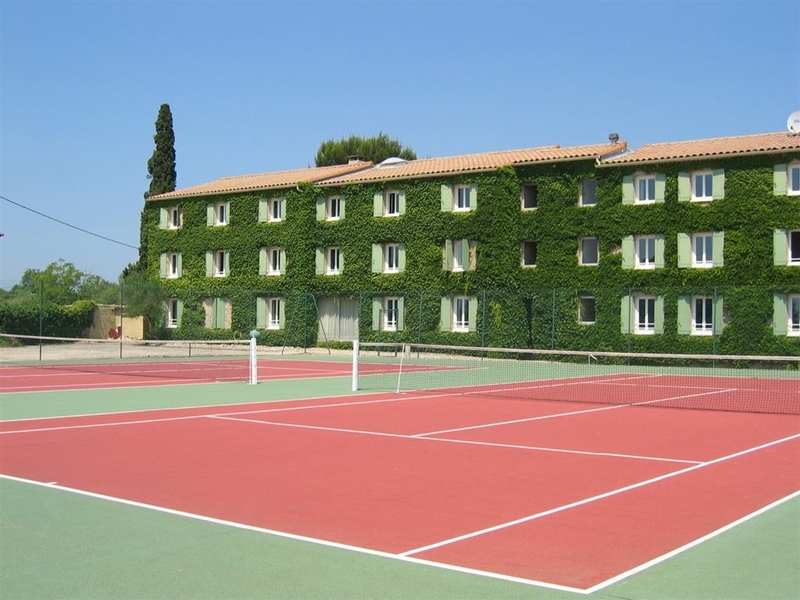 Tennis courts, spacious and good typical French breakfast. 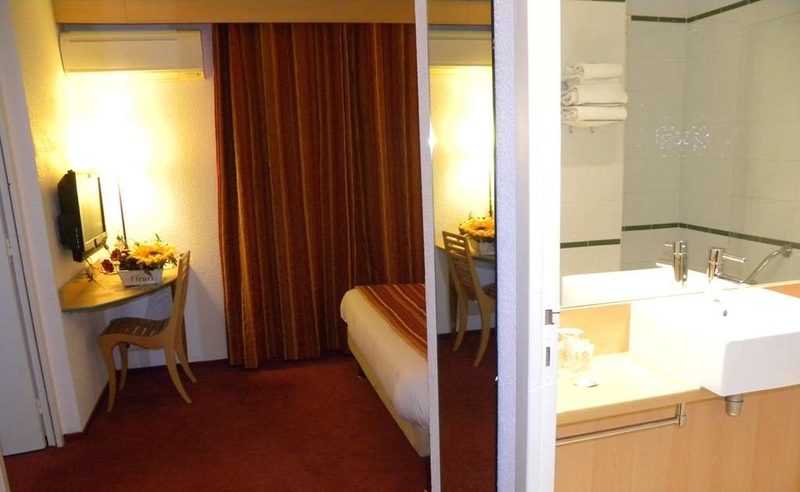 Rooms were clean and fairly modern. Wifi sometimes was a challenge, it could be stronger. 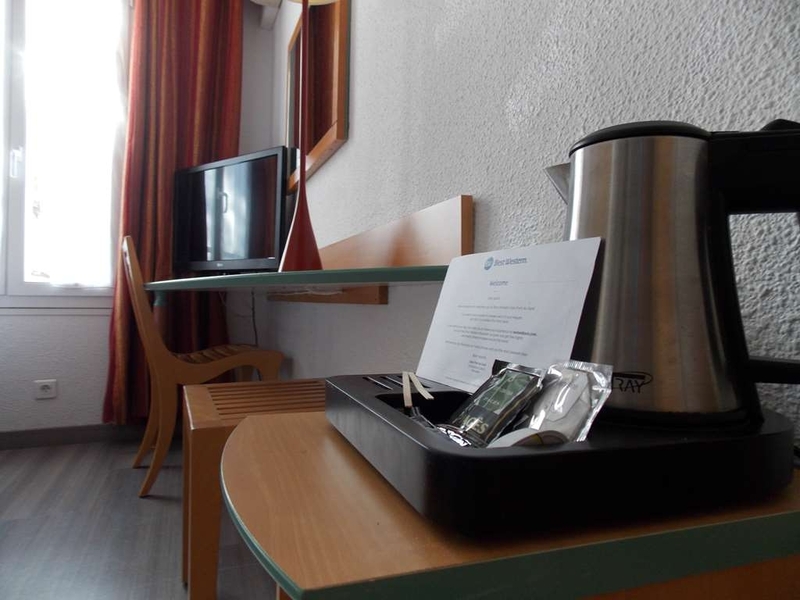 "Well appointed hotel with good breakfast"
The Best Western Pont de Garde has 60 rooms. It is located at the entrance to the town of Uzès. The village centre can be reached by a short walk. The hotel is quiet, especially those rooms giving towards the tennis court. 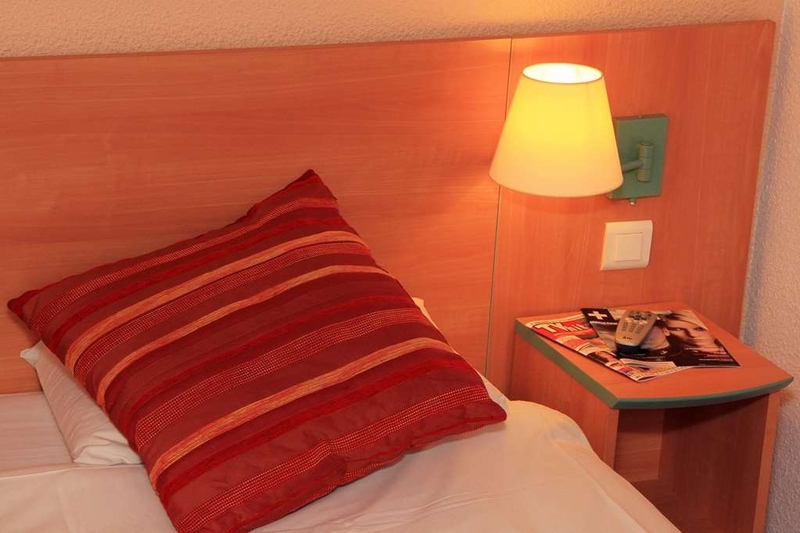 The rooms are newly furnished and equipped with comfortable beds. 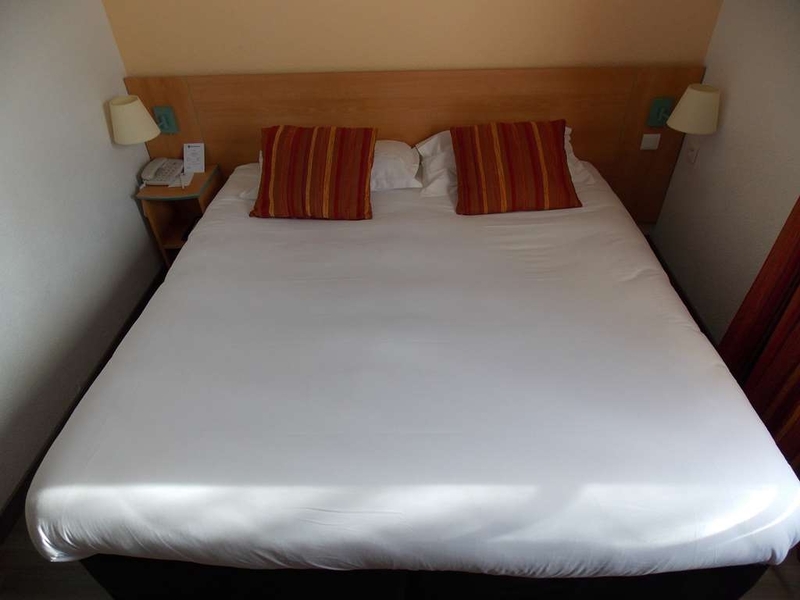 The double beds are queen size, so have we decided on two single beds. 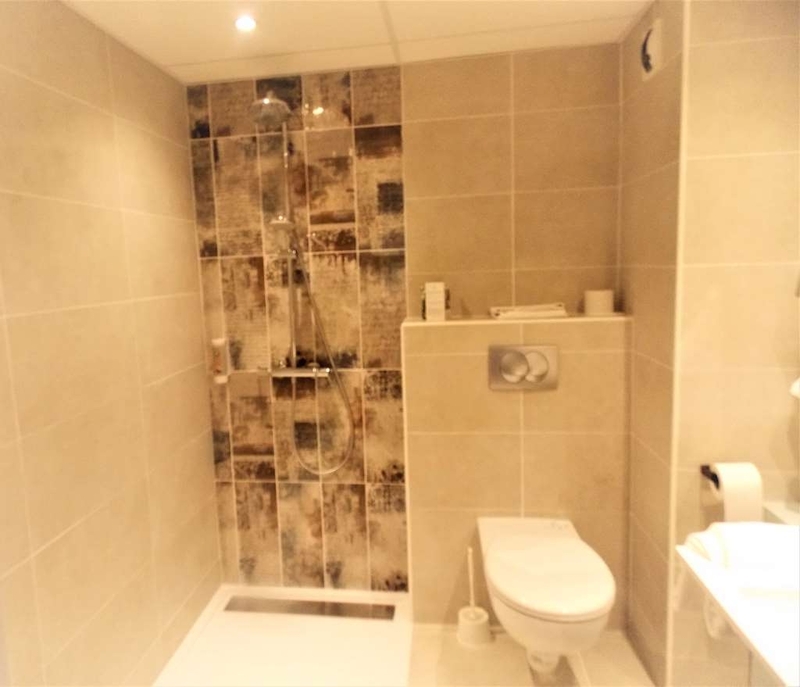 The bathroom is bright, equipped with a shower cabin. The restaurant is spacious without character. Instead of gray images of Buddha, a decoration in the regional Southern French style would better fit the location. The breakfast was rich for French standards. Unfortunately, the dinner was a complete fiasco. The steaks were of mediocre quality, though and indelibly cooked. A professional Chef would never accept such a piece of meat from the butcher, nor serve it. I was not the only guest to complain about the food this evening. Free parking outside the hotel is available. A voucher for a 50% discount admission to the Pont du Gard is given to guests. 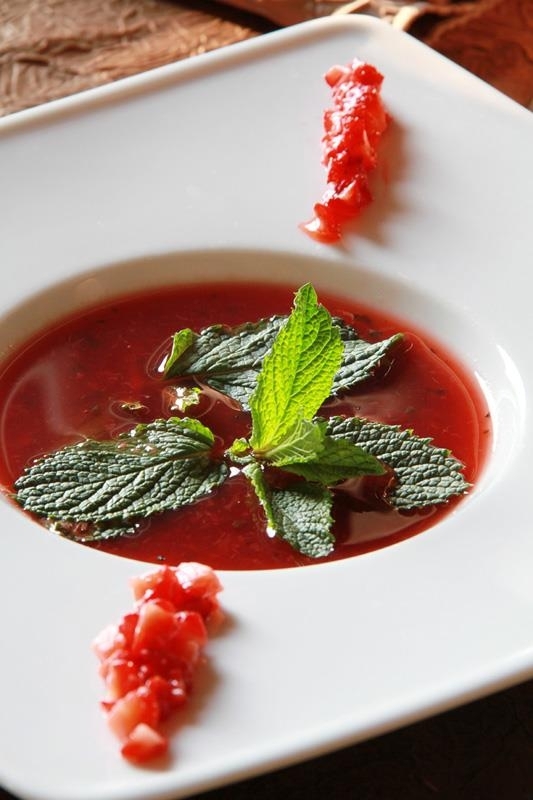 Various comments were made about the dining experience. The best option is to take this hotel as a B+B and to eat in the village. The BW deserves better notes, once the quality of the restaurant is improved. Dear Guest, We thank you for all your comments about our hotel. However, we don't agree with your comments about the restaurant. There was no problem with the meat and you were the only guest this evening who complaint about the quality of meat. I agree that the plate was cold but the meat and the cooking was as usual. As i remembered you also complain about the french fries, as we are in low season, we do homemade french fries...As many restaurant all around the world do frozen french fries, maybe you don't remember what are the real taste of french fries! "good for a quick break"
We stayed here for a few days and found the hotel reasonably comfortable, and good value for money it is not quite close enough to walk into the center of Uzes, maybe I'm just lazy! Breakfast was good buffet style with a very good coffee machine! We booking in advance with booking.com for one night two rooms . It seems the management were not really happy with not booking directly I could not have my best western points added nor change a twin to double and the commission was mentioned twice . apart from that the reception was fine . Parking good and the GPS took us there no problem . The rooms are small but the beds were comfortable and lots of hot water etc and quiet air conditioning too a bonus . We had intended to eat in their red circle restaurant but it looked rather sad so we went into Uzes and returning about 9.15 noticed only one couple in the dining room . The breakfast was as expected and I boiled eggs for mine to have something hot . I didn't think it was possible to find a hotel in France that served turkey twirlers, but this hotel did just that. A chicken salad had limp lettuce, no dressing, Turkey twizzlers filled with tomato ketchup. Bad enough, but the main course was inedible - we weren't the only people to send our food back and refuse to pay. 4 other tables did the Sam. The manager was polite but inept - blamed the butcher. But the food was badly cooked and of an awful standard. Never again will I desert the Logis de Framce hotels which have, without exception, been fantastic. Can't say how dreadful the food was in this Best Western take my advice and just don't go there. Very small room shutout fridge but you have a pool but it is closing at 19:00. 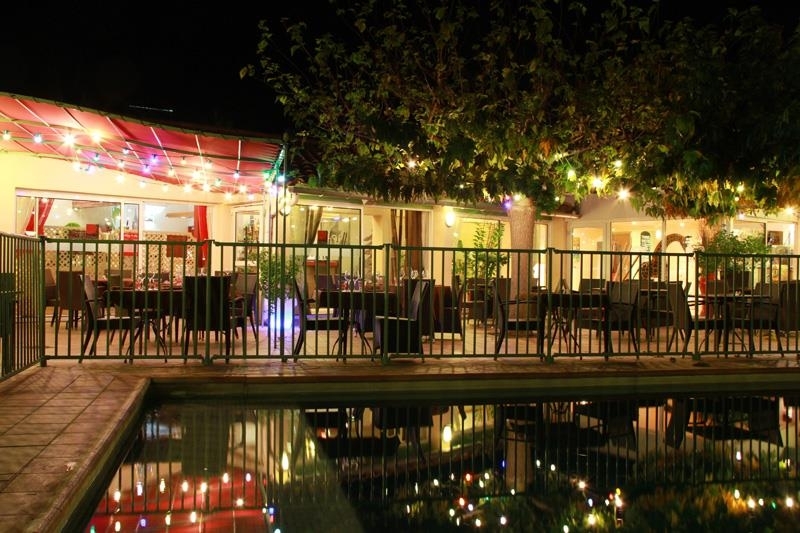 You are near pont du guard and vineyards.The staff is ok. You have free wifi. The breakfast is too expensive. The rooms are clean and the price in high season is ok for the room. Again, the restaurant is expensive and the bar too. Go to a grocery store, its cheap. Dear Guest, we thank you for your good comment and quotation. We will be pleased to welcome you next time. Best Western Uzès Team. "Unpretentious FIND full of simple comfort and fun"
This, I feel is one of Uzès's characteristically friendly, perfect little havens. We stayed here three times, during a period when we are renovating a house not far away. The staff is amazingly agreeable and helpful. I especially commend Aurelien and Sylvie on the front desk, and Maximilien and Cyril in the restaurant. Professional, smart, graceful, kind and nice! Everything is simple and well arranged. 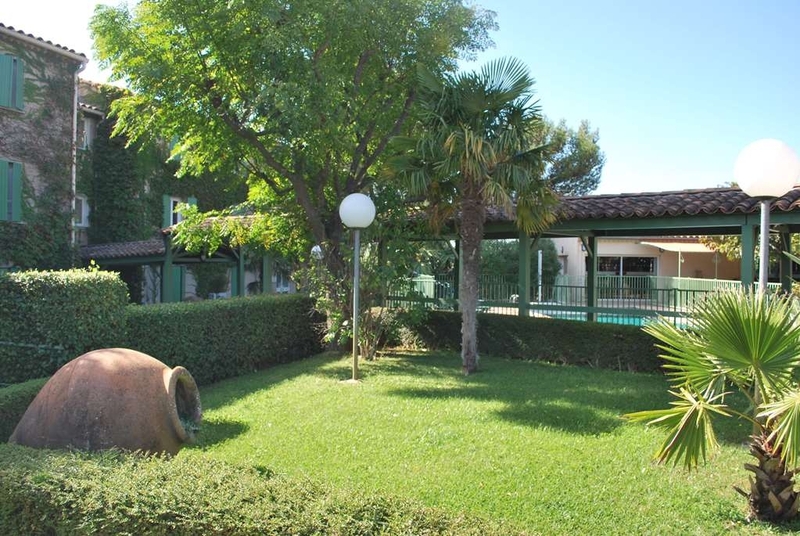 The pool is a delight, quite lovely to look out on basking vacationers or swimmers and hear the romantic South of France sound of the cicadas ( cigales). We enjoyed every room we stayed in — and rejoiced in the refuge they offered and the fantastic air conditioning during this summer's heatwave. (The cleaning staff were even understanding of our irregular schedule. Kudos! ) Bravo to the management and staff! As expected from a Best Western. Functional. It makes a good base for seeing the Pont du Gard, and Uzés is a very pleasant little town. 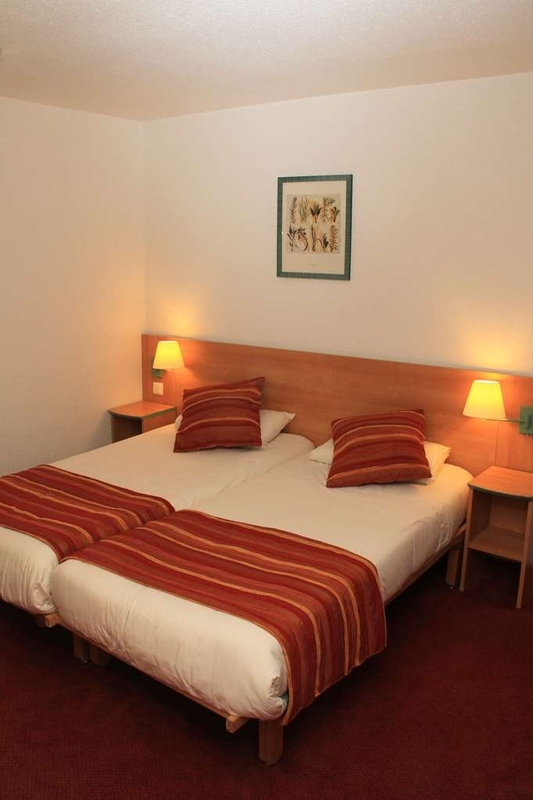 The hotel is located a bit outside Uzés, so be prepared to walk 30-40 minutes to get into town. With some trial and error, we found a back road, so that we could avoid to walk along the busy main road; you have to walk around the back of the hospital--check out google maps, and you can probably see where to go. Decent, if somewhat uninspired breakfast for 12 Euros. Friendly reception staff. "Very pleasant hotel on the edge of town"
Pleasant room on second floor of building opposite reception and overlooking the pool. Reasonable rate which included a good breakfast. This was taken on the terrace by the pool. A couple of English news channels and a full bath with lots of hot water. Plenty of free parking, reception helpful and friendly. A very short drive to Uzès (about 20 minute walk) and well placed for exploring the area. We stayed 3 nights and were very happy with our choice. Our only negative comment is that there was weird intermittent water noises in the night on our middle night otherwise the hotel was very quiet. Reception provded us with a discount voucher for Pont du Gard. Uzès is a lovely small town but surprisingly quiet even in early July. Restaurants were closing soon between 8 and 9pm in many cases but we enjoyed our stay and Uzes made a good base to explore the area. For all the team thank you for your compliments. Because hotels are hard to find in Uzes, this place is fine if you are in for market day. Thankful for air conditioning, duvet covers instead of old, dirty bedspreads, which they seem to love in France, and a quiet room. No charm, but when you need a solid night sleep, this may be your place. If you don't want breakfast, be prepared for the coffee police to give you the third degree if you aren't will to spend $15 for a piece of toast and just want some coffee, the breakfast bitties are not what you really want to see, first thing in the morning. No bonjour here, just a scolding for only wanting a cup of coffee. Again, if you need a comfy bed, this is a good place. Just stay away from the restaurant in the morning. "Fine for a night or two"